Our members are committed to putting their talent to work for those in need. Each year, the guild chooses a charitable organization to receive community service quilts from Quilters by the Sea. 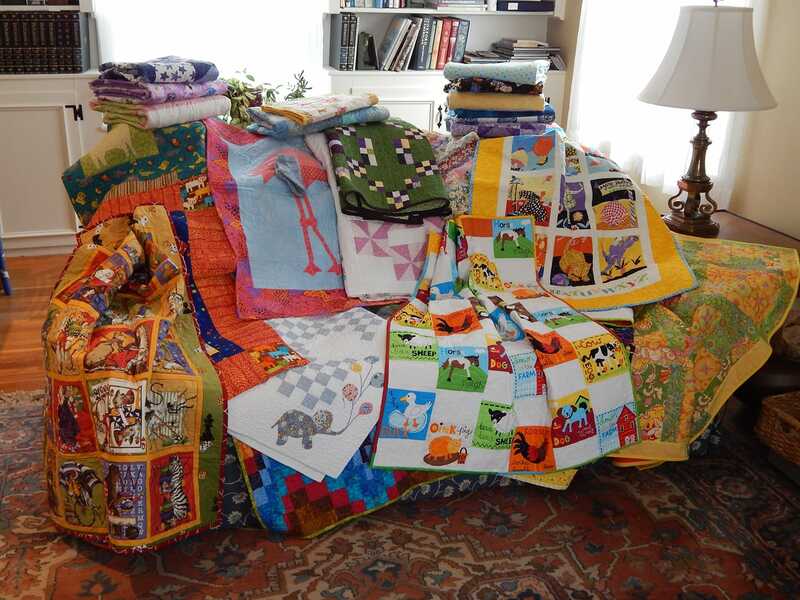 Organizations to which we have contributed quilts include the Quilts of Valor, Robert Potter League for Animals, Better Home & Gardens Million Pillowcase Challenge, Quilts for Kids, Ronald McDonald House, Young Mother Shelters, Gabriel’s Project, Hasbro Children’s Hospital, Portsmouth Police Department, Lucy’s Hearth, New England Quilt Museum, local families in need, and local libraries. 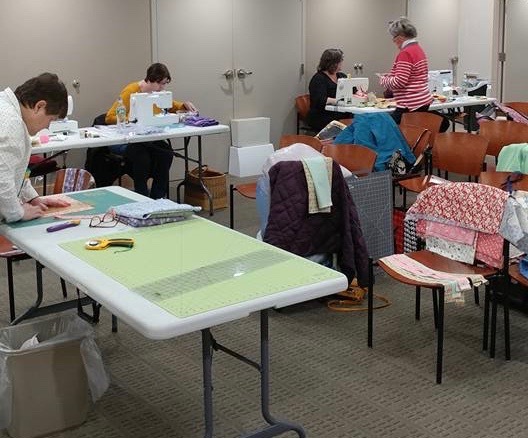 This year we are focusing on replenishing our “Disaster Closet” which contains a variety of quilts of varying sizes and styles destined for those in our community who have faced a disaster and are in need of a quilt for their home. We are encouraging our members to contribute large quilts, but welcome quilts in a variety of sizes. We are also creating isolate covers for premature babies at the NICU at the Women and Infants Hospital in Providence. Isolette covers should be 40″ x 40″ made from prewashed fabric.